I'm fast turning into a Wet'n'Wild fangirl. 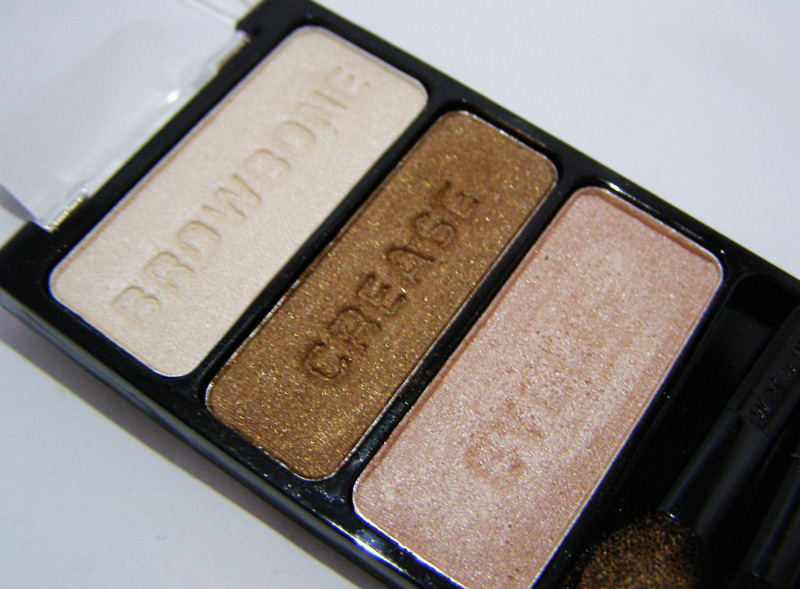 I'm kinda loving their eyeshadows lately. Around here, they are maddeningly hard to find. Most stores have one or two palettes, and those are usually opened and/or destroyed. I was at my local Walmart, looking for the new Flower Beauty collection (which of course they don't have) and I spotted an intact-and-untouched trio on the shelf. I snatched it up immediately, because who knows where I would have encountered another one? I was immediately struck by how well these colors fit in with my Urban Decay Naked palette. Even the pink color seemed to be made for that palette. As soon as I swatched the colors, I noticed that the brow and crease colors really reminded me of the Naked palette. Like really really. So I grabbed mine and decided to compare. The browbone color, on my skin, is a dead-ringer for Virgin. 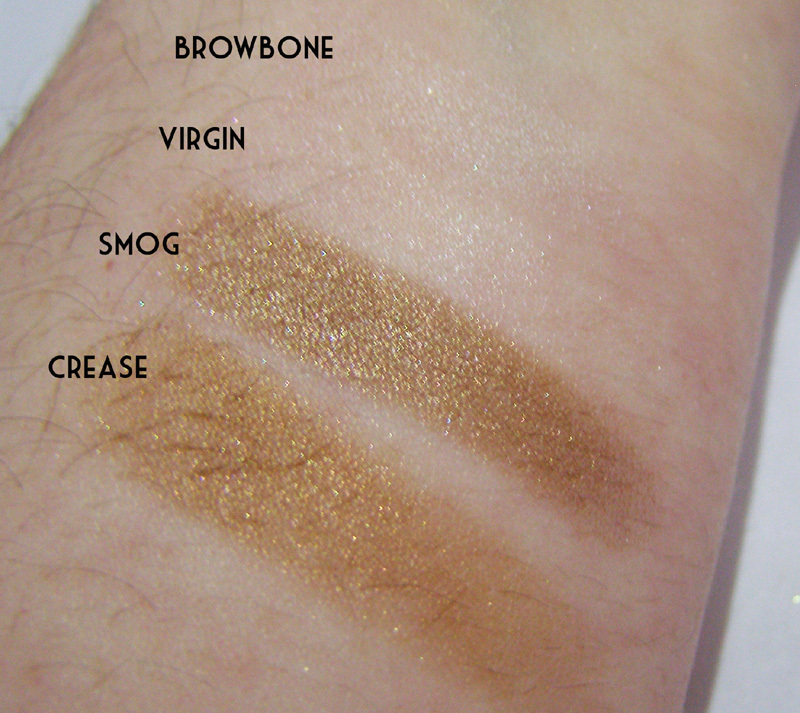 I see no difference at all, though I have yet to compare them over any sort of primer. 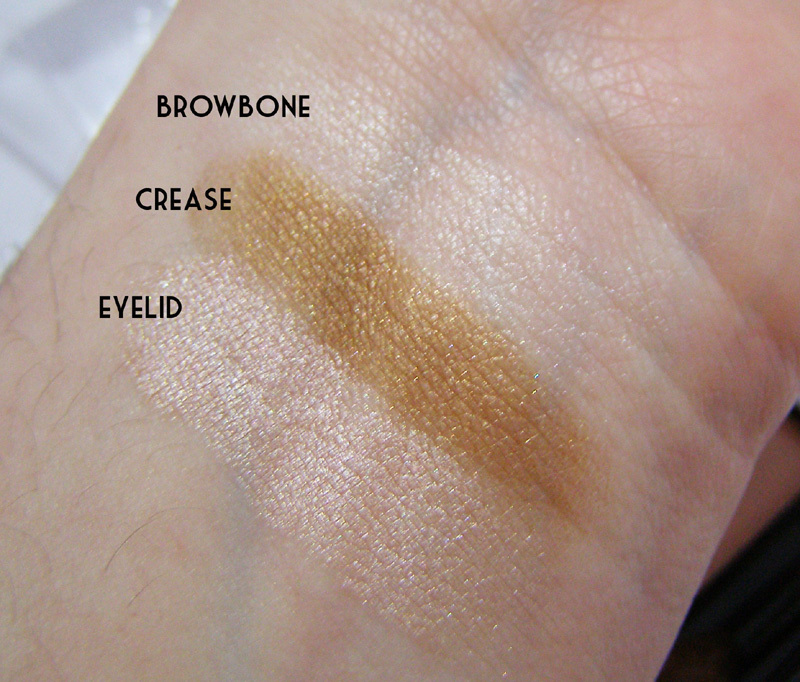 The crease color is very similar to Smog, though it lacks some of the depth, sparkle, or punch that Smog has. Still, for those on a budget, you can't really do better than $2.00 for something this universally flattering. The idea of others swatching in the store gives me the hebbie-jeebies. I will never, ever purchase something that looks like it's obviously been tried. I saw a pair of young girls (15 or so) doing this with the ORLY polishes, and I wanted to punt them across the store. It creeps me out badly. That's my only real reservation with buying NYX products: they don't all have seals! Also, punting teenagers, while completely illegal, can be satisfying and rewarding. ;).